Mining and visualizing huge databases has become a daunting task for many application domains such as astronomy, medicine, geology, oceanography, and crime prevention. In this talk, I introduce a new technique for exploring and organizing huge databases using visual features. These visual features aim to characterize the data distributions within a scatterplot (a plot of the values of variable X versus the corresponding values of variable Y). Working directly with these measures, we located unusual correlations between pairs of variables in time series. For large datasets of thousands of dimensions, we use these measures to cluster and display only exemplars (about 30 of them) in a force-directed layout. This provides a comprehensive overview of a high-dimensional dataset. We also apply transformations to reveal hidden patterns that are not apparent in the regular scatterplots. Lastly, we extend this work to handle pixels in images. During the talk, I will demonstrate my applications on real-world data such as detecting events impacting the US unemployment rates over the past 20 years or clustering half million of SETI waterfall plots. 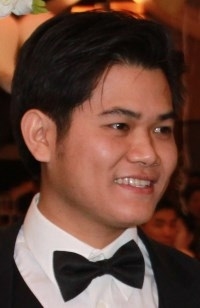 Tuan Nhon Dang is a Postdoctoral Researcher in information visualization at the Electronic Visualization Laboratory, Department of Computer Science, University of Illinois at​ Chicago. He received his M.Sc. degree in Computer Science at University of Illinois at Chicago, a M.Sc. degree in Computing Systems at Politecnico di Milano, Italy in 2009 and a Ph.D. from the University of Illinois at Chicago in 2014. His research interests are in visual analytics and computer animation.